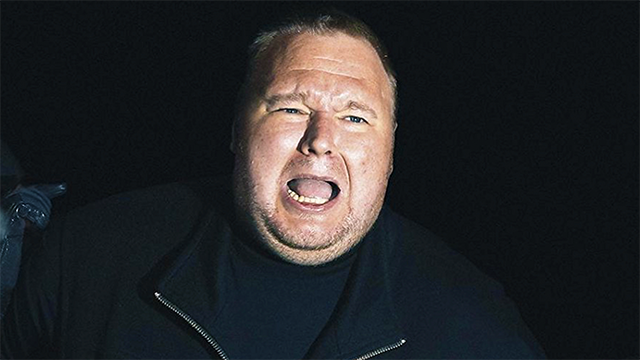 The New Zealand government has just been ordered to pay him $90 000 and the USA is looking to extradite him on charges – but who exactly is Kim Dotcom? At two metres tall and weighing around 130 kilograms, Dotcom stands out in a crowd based just on his appearance. But he also cultivated the persona of a flamboyant millionaire whose life was a whirlwind of flashy parties with scantily clad models and helicopter rides – that is, until it all came crashing down in 2012. Born in 1974, Kim Schmitz, now Kim Dotcom, a Finnish-German businessman and computer programmer, achieved notoriety during the dotcom revolution as a hacker and securities expert, and subsequent founder of websites like MegaUpload and Mega. As a teenager, Kim used to crack corporate PBX systems in the US, ultimately resulting in his arrest for the use and sale of stolen calling card numbers. Instead of ending his career, the arrest and notoriety propelled him to new heights, and in 1994 he founded DataProtect, a company dedicated to computer security and systems. Four years later, in 1998, he was arrested and given two years of probation for being involved in stolen goods handling and computer fraud. In 2002, he was again arrested, this time in Thailand, and sentenced for one-and-a-half years of probationary imprisonment, and a fine of €100 000 for insider trading - making this the biggest case of its kind in Germany to date. Despite these many arrests, Kim has managed to emerge as one of the most successful tech entrepreneurs in the world. His MegaUpload Limited became one of the world’s most popular sites, allowing users to upload and share content like movies and TV shows – with 50 million visitors daily and a revenue of US$175 million. That is, until the dawn raid on his New Zealand mansion in 2012 kicked off a five-year legal battle with US and New Zealand authorities. Piracy, government spying, private jets and mega mansions, police raids and threats of extradition - It's all part of the larger-than-life story of "the most wanted man on the internet”. Worthy of a movie? Yes! The Kim Dotcom: Caught in the Web documentary, first on Showmax, reveals the true extent of his money-making empire and delves into the complex legal copyright battle between Dotcom, the US government and Hollywood studios. The film looks at his life up to the end of 2015, including his seven years in Hong Kong, where he started up his ill-fated file sharing site MegaUpload in 2005. Kim, the self-described “internet freedom fighter”, is newly married and looking to add to his family of five children from his first wife. He has moved to Queenstown in New Zealand and continues to fight extradition to the US, where he could face charges of conspiracy to commit racketeering, copyright infringement, money laundering and wire fraud. Get a free 14-day trial if you are a first-time user when you sign up for Showmax, and if you’re a DStv Premium subscriber, get Showmax at no extra cost. DStv Compact subscribers get Showmax for R49.